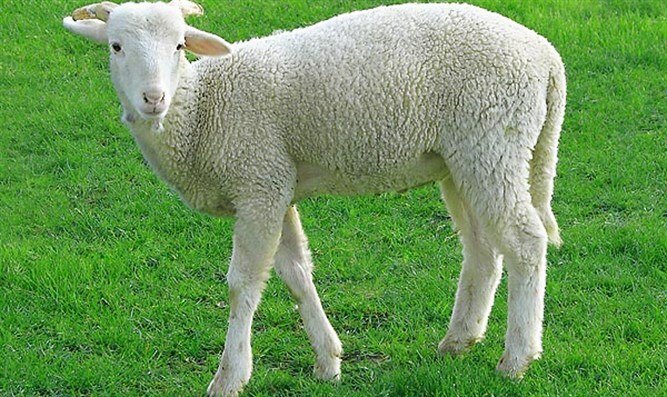 Just in time for Passover, the Temple Institute has released a video explaining why, in its view, the Torah commandment of Korban Pesach - the Paschal Lamb sacrifice - is required this year in Jerusalem, even without the re-building of the Holy Temple. In the four-minute animated presentation, Rabbi Chaim Richman, Co-Founder and International Director of the Temple Institute walks viewers through halakhic sources. This is the fourth in the "Holy Temple Myth Busters" series which has already accumulated tens of thousands of views on the organization’s YouTube page of over 5 million total views. The Korban Pesach is a fundamental religious requirement for all Jews on the eve of Passover, and the holida takes its name from the offering itself. The lamb offering is eaten as part of a matzah sandwich at the end of the Seder meal. The Temple Institute has been educating Jews worldwide about the importance of the Korban Pesach for over three decades. However, this is the first time that an English explanation has been prepared with all relevant Torah sources in a way fit for everyone from laymen to scholars. According to Jewish law, the Temple Institute says, the offering is an obligation for all Jews and must be prepared on the Temple Mount on the eve of Passover, even in the absence of a Holy Temple. The Temple Institute is the world leader in research and preparation for the Holy Temple. In addition to educational activity focused on the centrality of the Temple Mount and Holy Temple, the Institute has also recreated over 60 sacred vessels for use in the Third Holy Temple, which can be seen at their Visitors Center in the Old City of Jerusalem.